Exterior shot of John and Alice Coltrane’s home in Dix Hills, N.Y., 2009. For those of us still reeling from the closure of Harlem’s iconic Lenox Lounge, coincidentally, a place where the legendary saxophonist John Coltrane once played, there is good news today. We can take heart in the fact that John Coltrane’s Long Island, N.Y., home, the same home where he recorded his seminal, transcendent work, “A Love Supreme,” was named a National Treasure on Wednesday by the National Trust for Historic Preservation, a move which will all but ensure that the pioneering jazz musician and composer and his musician wife, Alice Coltrane, will have their home properly memorialized. John and Alice bought the Dix Hills, N.Y., home in 1964. John lived there until his death of liver cancer three years later. The 3.4-acre estate was both their family home, where they raised their four children, and a musical haven, where John composed his masterpiece, “A Love Supreme,” in the upstairs bedroom. In 2005, at the urging of Steve Fulgoni and other local supporters, along with extraordinary support from musicians and music lovers from around the world, including Herbie Hancock, John McLaughlin, and Michael Brecker, the town of Huntington bought the property from a developer who intended to demolish the house. 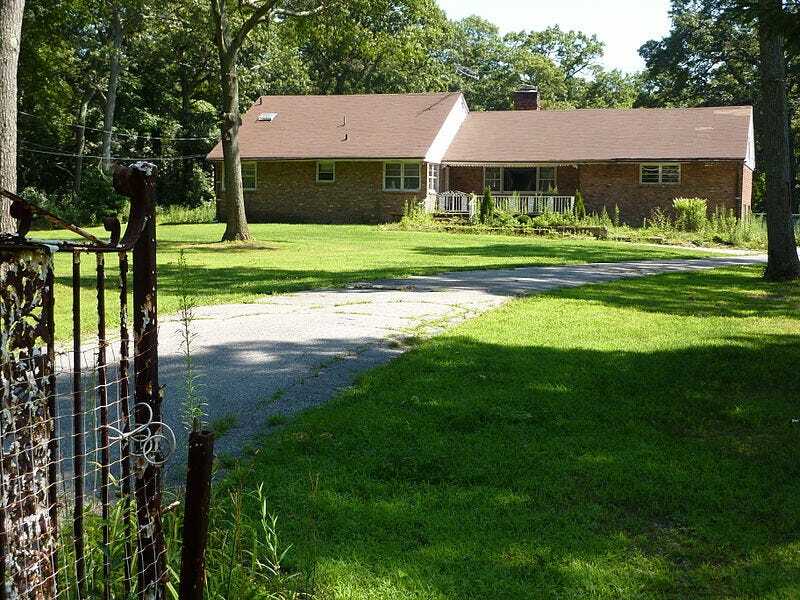 The house is now owned by Friends of the Coltrane Home in Dix Hills – aka “The John and Alice Coltrane Home” — while the Town of Huntington owns and maintains the land. It is listed on the National and New York State Registers of Historic Places and is a locally-designated historic landmark. The home retains its original exterior structure and elements of its original interior finishes such as the herringbone patterned wood paneled walls, wood beams, circular windows, carpeting and brick fireplaces. Future work will involve planning for the landscape and use of the land as a park, and as part of the interpretation of the home, bringing back to life the famous basement recording studio where Alice recorded her first seminal works. The National Trust, a privately funded nonprofit that works to save America’s historic places, also seeks to help the Friends of the Coltrane Home in Dix Hills (aka “The John and Alice Coltrane Home”) implement a vision for the property. The National Trust’s African American Cultural Heritage Action Fund, an initiative c0-chaired by the F0rd Foundation and actress Phylicia Rashad, granted the Friends $75,000 in July. “The alliance with the National Trust for Historic Preservation will allow us to uphold my parents’ mission of supporting generations of artists and musicians and commemorate their achievements and values, which are deeply embodied in their legacy,” said Michelle Coltrane, an honorary board member of the Friends of the Coltrane Home. Updated, Tuesday, Oct. 9, 2018, 8:32 p.m. EST: This post has been updated to note that Coltrane was a saxophonist and to reflect that the Coltranes had four, not three, children.